There is a tune that was big radio hit in 1971 called American Pie. It is a folk, sing along type of an anthem. The song’s structure and timbre is firmly rooted in the decades old traditions made famous in part by the recently departed Pete Seeger. The song’s central thematic element deals with what the song’s singer/songwriter Don MacLean referred to as “the day the music died.” The 55th anniversary of that tragic event was February 3rd. The “day the music died” is now part of popular culture’s nomenclature to reference the crash of a single engine plane carrying musicians Buddy Holly, Richie Valens and J.P. “The Big Bopper” Richardson. Those three men, along with their twenty one year old pilot, died a few miles outside of Clear Lake, Iowa. On February 9, 1964, exactly five years and one week later marked another momentous event. It also was the day the music died. It was the debut on American television of the Beatles. On that evening a then record amount of folks across the U.S. tuned in their televisions to watch the Beatles. To this day, it is still one of the highest rated television broadcasts of all time. 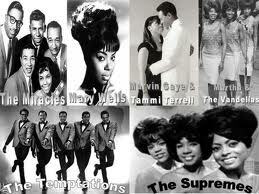 It is the beginning of the so called British Invasion and what others referred to as the death of rhythm and blues. It marked the rapid downfall in the popularity of jazz music and, of course, it commemorates the accelerating rapid decline in blues music which has never fully recovered. In short, it was African- American musical traditions that were the bullets that had been loaded into the musical chambers of these popular British musicians. These musicians pointed their weapons directly at the hearts of the people who made this music in the first place. They smiled, pulled the trigger and cashed their paychecks. African-Americans did what they always have done, smile back. After all, in the giant scheme of things, this was hardly the biggest injustice foisted upon them. It was 1964. The civil war had been over for 100 years and the Civil Rights act had yet to be passed. The 100 years of legalized and institutionalized Jim Crow laws were about to come to an end, but not before one last cultural insult was perpetrated. That insult is still rattling around our eardrums and consciousness to this day. You see, Jim Crow wasn’t quite ready to give up the reins that held sway over America’s broadcast airwaves. Some background might be in order here to help put this watershed event in context. Throughout the previous two decades, different African-American musicals idioms had emerged from the swing era. A highly complex improvisational style of jazz that bore the odd and unfortunate title “be-bop” had all but signaled the end of the swing era. These small combos were led by true musical geniuses such as trumpeter John Burkes “Dizzy” Gillespie, alto sax man Charlie Parker, pianist Thelonious Monk and drummer Kenny Clarke. This musical revolution took place in small clubs in the wee hours of the night. It grew organically away from the artificial taste makers of the larger commercialized pop culture. In addition to the small combos, larger ensembles were playing what was generally referred to as rhythm and blues. This music was the real nexus of what, in just a few short years, would be called rock and roll. 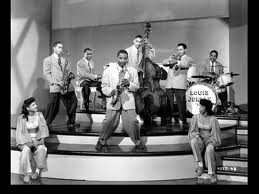 Singers such a Wynonie Harris, Jimmy Rushing, Big Joe Turner, Jimmy Witherspoon and Jimmy Liggins were becoming big stars in what was called the “race market.” One of the brightest stars and one of the fathers of rock and roll is Louis Jordan. His brand of music represented a very comfortable shift from swing to rhythm and blues and pointed to a future that had yet to be explored. Both of these movements had their roots firmly planted in the blues and the music that still bore that name was also undergoing its own creative and artistic growth in cities throughout the country. A network of nightclubs that would play the music of African-Americans called “the chitlin’ circuit” made for a rich cultural backdrop and social scene. Music remained fairly regionalized, and yet democratic, as music of various styles could be heard on local radio stations across the country. However, there was a parallel historical narrative with the advent of television in our lives. The television was unveiled to the American public at the 1939 World’s Fair in New York City, but its manufacture for mass consumption would be put on hold until the end of World War 2. No one could imagine the impact this invention would have on the world or what this seemingly benign piece of new furniture in the living rooms of America meant to the African-American musical expression and how it hindered its relationship to the larger Anglo culture. The relationship between black music and television as it turned out was tantamount to the relationship between Governor Wallace and two black students enrolling at the University of Alabama in June of 1963. Television served to block the doorway of progress and integration for the acceptance of black musical expression in America. The most innovative, creative and enduring musical decade of the twentieth century was the 1950’s. However since most of these creative inventions came to the world via our African-Americans, we got Bill Haley and the Comets making a hit out of a Big Joe Turner song and Pat Boone doing the same with Little Richard’s music. Shake rattle and a lop bam boom...it was over. This sick paradigm became as acceptable as segregated restaurants and public facilities in the 1950s. The final nail in the coffin may have been Muddy Water’s performance at the Newport Jazz Festival in 1960. In front of a mostly white audience, made up largely of people who have never heard his music, Waters delivered a gut shot to the artificial taste makers. The audience came unglued. This brand of music was so powerful, so emotionally rich, so rhythmic and yes, so sexual; it was an irresistible aphrodisiac that wouldn’t see the light of day if America’s arbitrators of taste had anything to say about it. This music was so intoxicating that it couldn’t be kept from the public. You could however keep the musicians who made it away from our impressionable young people. The musicians were after all easy to spot. They were black. Despite this performance and the response by this mix raced audience, Muddy would be pushed back to the sidelines. Since England didn’t suffer as greatly at the hands of America’s original sin, slavery, their young people did hear this music. Like anyone else who hears real blues music, they loved it. A handful of people even attempted to play it. Understandably they weren’t all that good at playing blues, but America needed someone to play it, as money was to be made. It just couldn’t be made by black folks. Just think of what that would mean to America. Black economic empowerment to go along with integration, not to mention the potential sexual implications, were all part of the equation that kept unfiltered black musical expression from the general public. 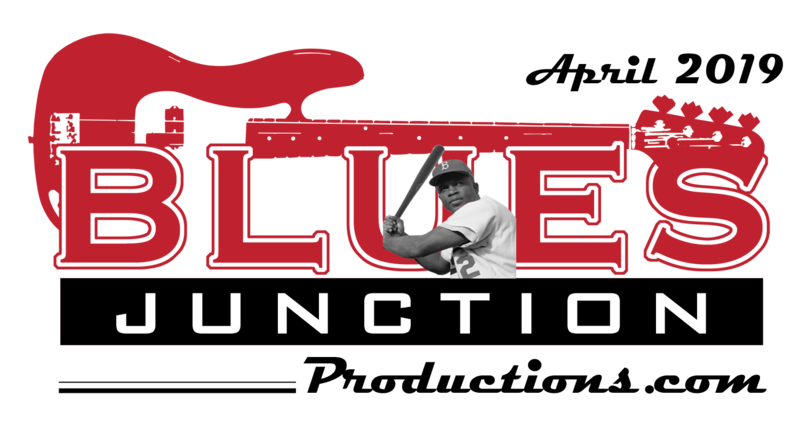 Blues didn’t stand a chance in the mostly segregated world of mass pop culture in America. By the early 1960s, however, rock and roll music was suffering its own problems. Little Richard found Jesus. Elvis Presley found Colonel Parker. Bo Diddley found that he was black balled from ever appearing on the Ed Sullivan show. Jerry Lee Lewis had found his thirteen year old cousin. Chuck Berry found all manner of white women and the inside of a jail cell. Of course, the young up and coming stars whose careers had just begun, Buddy Holly and Richie Valens found their maker. The AM radio and the pop charts became a barren wasteland of the most trite, saccharin, watered down, syrupy sentimental sludge imaginable. 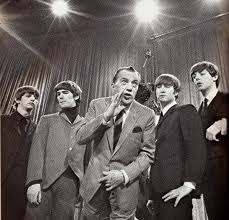 It was into this milieu that Ed Sullivan booked the Beatles to his already well established and very popular variety show. The seeds of mediocrity had already been sown and the Beatles were about to reap the harvest. Compared to what had been foisted upon the public by the mostly segregated broadcast airwaves, the Beatles were a breath of fresh air. They had a sense of professionalism born of already hundreds upon hundreds of live performances. They had ambition and drive to go along with a certain kind of charm, cheeky humor and youthful exuberance. Effervescent two minute original tunes mixed in with a few r&b covers made for an irresistible tonic for what ailed a country still in the throes of a national psychosis in the wake of the assassination of President Kennedy. Capitol Records, one of America’s musical powerbrokers, got behind this band and helped to create a juggernaut unlike anything the world of entertainment has seen before or since. Their music was aimed directly at the youth market, which was the largest generation of Americans in our nation’s history. In the immediate wake of the Beatles phenomenon, anything and everything British was all the rage, including a handful of bands that “brought back” blues music to America. Interestingly, blues music never left America. The fact that their intreptations of this music quite understandably was hugely inferior to that of their black counterparts didn’t matter. Most Americans had no point of reference, as they likely never heard the real thing. This of course could never be proven, but I contend that the average American is not as prejudiced as the networks and their corporate overlords. The music that was put out by Motown for instance which was a pop oriented version of r&b, was marketed to white people and everybody found something to like in that sound. I believe that if the broadcast airwaves played any number of the blues musicians still making records in the 1960’s, we wouldn’t have had any need for these British blues bands. They didn’t add that much to the language. In fact, their bastardization of blues music is, in the long run, what people generally don’t like about this music. Think about it. We still have a world full of blues bands with bad vocalists, endless wanking solos, over amplified guitars and rock drummers who call themselves blues men, yet don’t care to learn any of the blues shuffles. In short these British bands never understood the subtle nuances of swing that makes blues music danceable. British invasion you say? These musicians were invitees. These Brits were given unfettered access to our broadcast airwaves. Their songs were in constant rotation on radio. It was as if nothing else existed on America’s musical landscape, which was the entire idea in the first place. People know good music when they hear it. Does anyone for a minute think that suddenly people in the U.K. had a monopoly on good taste? 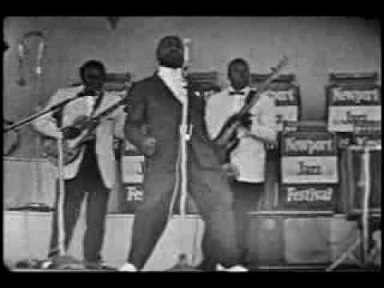 Do you think that when post war electric urban blues came out of the nightclubs and onto the festival grounds in Newport Rhode Island on that glorious afternoon in 1960, when Muddy Waters stood in front of that huge throng and presented his music without compromise, it was an anomaly? The popular interpretation of these events filtered through the white revisionist media is that the American Blues men owe their counterparts from across the pond a big thank you for turning America on to their music. This, of course, is the ultimate example of insult to injury. I am not for a moment suggesting that records by the most popular American blues artists of the day would have out sold Beatles records. Not even God ascending from the heavens to do a spoken word album on which he reads off a list of names that would be called for the rapture, would have outsold a Beatles record in the mid-60s. What I am saying is that blues, jazz and other forms of African-American musical expression got buried under the avalanche that was “Beatlemania” and the subsequent British invasion. For me, it might have been a good thing all around. I got to hear Beatles music which was aimed at children, when I was a child. Then as an adult I was able to find the rich music that had been covered up. For many Americans this music remains buried. It remains a hidden treasure still waiting to be unearthed and see the light of day. The fact is because of this so called British invasion that began on an American television variety show, most Americans will go to their graves having never experienced these joyous sounds. What we lost on February 9th, 1964, was far greater than what we gained.